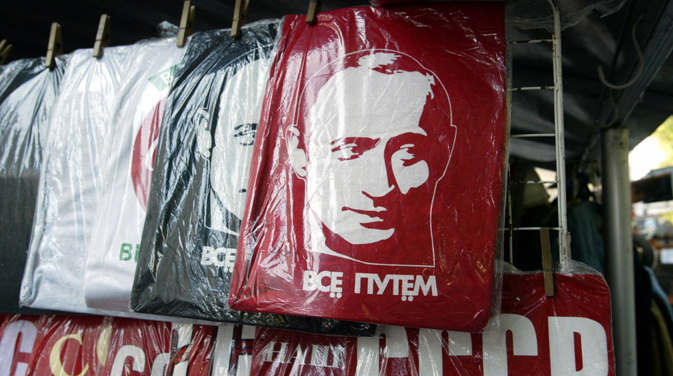 From portraits to fridge magnets to video games, Putin’s image has become a commercial venture. "I came up with the idea of developing a game around Putin when I realized he is the closest thing the world has to a real-life superhero," the game's Belgian developer Michele Rocco Smeets told RBTH. "I imagined that if a zombie invasion really happened, the only one who could save us would be Putin." "These are not mass-market souvenirs," a spokesman for the company Professionalnye Suveniry told RBTH. "This is what state officials normally buy." However, following RBTH's request for further details, the description on the web site was changed, reading now that the figurine is no longer available for sale. The internet store's spokesperson told RBTH that only two figurines of Putin were actually made, one of which was sent to the President's administration as a gift, and the other one stayed at the design studio. Viral in Russia - Is there something fishy about Putin's fishing trip?